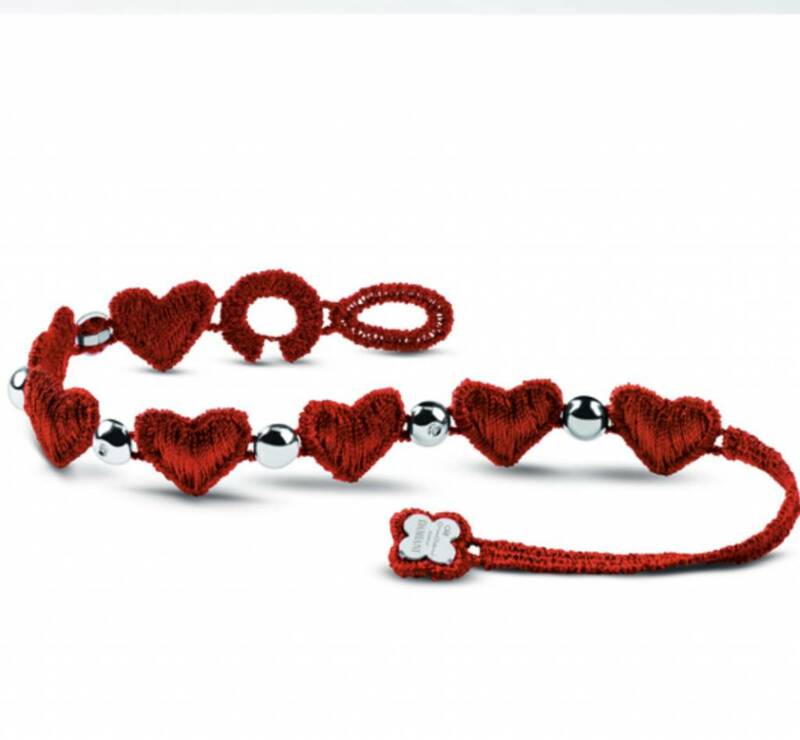 Cruciani and Damiani, two brands famous for the excellence of their Made in Italy products, combine their craft traditions again to create a limited edition bracelet for St. Valentine's Day: an original present to seal your love. 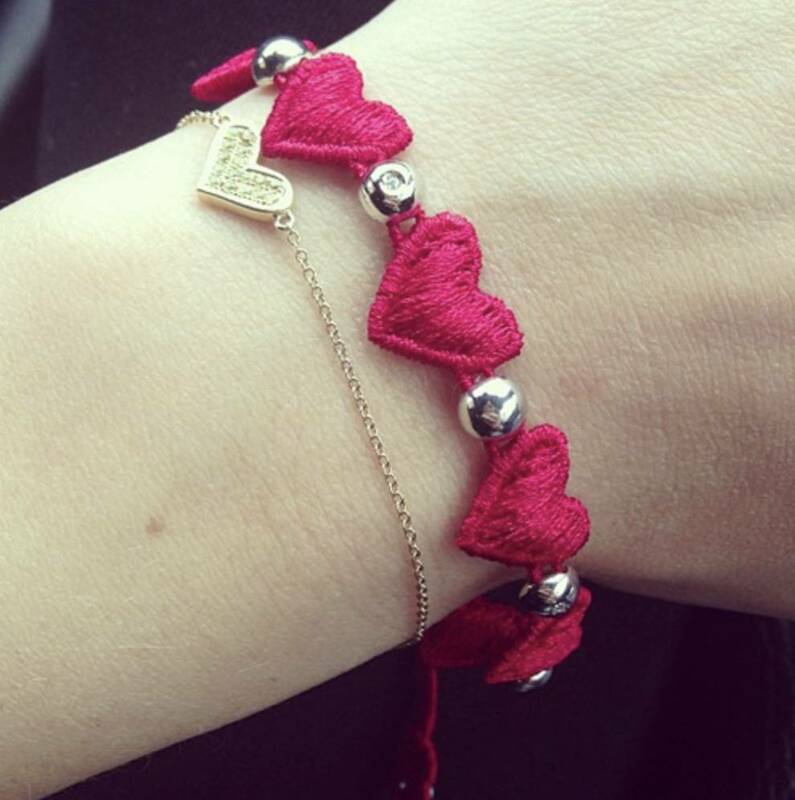 The macramé bracelet features a series of hearts and is made more precious by three silver beads alternating with other three beads with a diamond. The bracelet clasp is a little silver four-leaf clover with the words “Cruciani con Damiani” carved on it. The totally Made in Italy St. Valentine's bracelet comes in a limited edition.